Curls are the epitome of style. There’s something about them that makes every woman look stunning and classy. Some of us are naturally blessed with gorgeous curls. But if you wish to sport curls, curling irons are your answer. 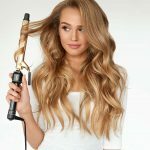 You don’t have to spend a lot of time finding the perfect curling iron as we have listed 10 best curling irons available on the market right now. Just sit back and read on. Before we dive into the list, let’s get to know the process of curling your hair using a curling iron. A curling iron can be used to create different types of curls – beach waves, tight coils, loose curls, formal curls or bold waves – depending on the method of curling and the size of the iron. 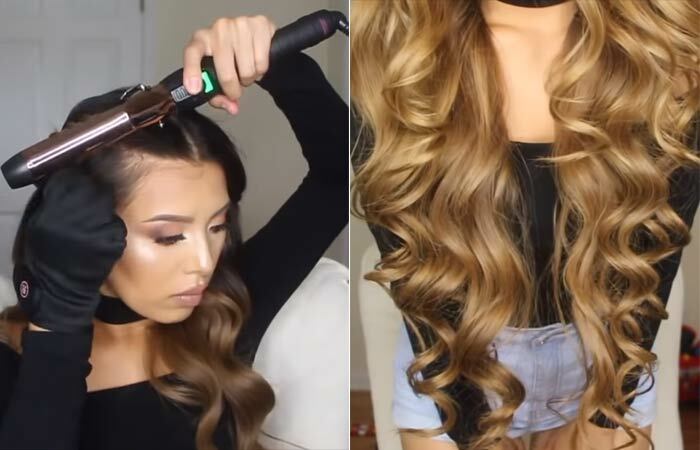 Here’s a step by step procedure to curl your hair using a curling iron. Heat the curling iron to the right temperature that is the best fit for your hair type. If you are someone with fine hair, heat the device to 320 degrees. Those with long, coarse, and thick hair can heat the iron to the maximum temperature. However, it is best to go for the lowest temperature to avoid any hair damage. Brush your hair thoroughly to remove any tangles and frizz. This will keep your hair from clamping during the curling process. Apply a heat protectant spray on wet hair. It helps prevent any damage caused by excess heating. Besides protecting, it adds a glossy shine to your locks. Section your hair into two or three parts from the bottom to the crown of your head, one above your ears, and one below. Wrap your hair around the barrel the inward direction. Ensure to curl in clockwise and anticlockwise directions for more natural-looking curls. Continue to curl until all the sections are covered. Tousle and tease the curls with your fingers to create more natural-looking curls or waves. Use a curling hairspray to set your curls. It will add shine to your locks and keeps them defined for hours. Now that you know how to curl your hair, the next question you may have is, is there any right way to hold the curling iron? Find out in the next section. This might come as a surprise, but the angle at which you hold your curling iron is of paramount importance. It can change the diameter and the length of the curls drastically. If you are opting for natural beachy waves, hold the curling iron in a diagonal position. Horizontal will give you uniform and brushed curls, while vertical gives you defined coils. Is a curling iron the same as a curling wand? Let’s find out. What Is The Difference Between A Curling Iron And A Curling Wand? Both can be considered as cousins as both give great curls. The difference lies in the design and the structure. A curling iron has a clip-on in it while the curling wand doesn’t have one. Also, they are priced differently. A curling iron easily styles your hair with its clip, but a curling wand requires manual help to clasp and wind the hair along the wand. A curling iron gives you more of a coily effect while a curling wand creates soft and wavy curls. Curls are a lot smoother and shinier when done with a curling iron. Now that we have got the technicalities out of the way, let’s look at the best curling irons. Before we get to the features, let’s just admire the beauty of this product. The stunning rose gold plating is swanky. Hot Tools professionals create styling tools that are incredibly innovative. This gold barrel surface creates gorgeous curls and long-lasting defined hairstyles. The unique pulse technology feature allows the system to maintain the heat and quickly identify heat loss and restore it to the surface. This way, the styling time is reduced, and the hold is increased for better cuticle closure. Get luscious and shiny curls with Conair Infiniti Pro Nano Tourmaline Curling Iron. It is infused with microparticles of tourmaline ceramic and silver that emit natural ions to give you frizz-free curls and waves. The infrared technology generates optimum heat on hair, retains moisture, and imparts shine to the tresses. The 1-inch barrel makes it easy for you to create long-lasting, medium bouncy curls. The tourmaline ceramic surface lends high-performance and delivers a smooth finish. It ensures even heat distribution and eliminates hot spots. 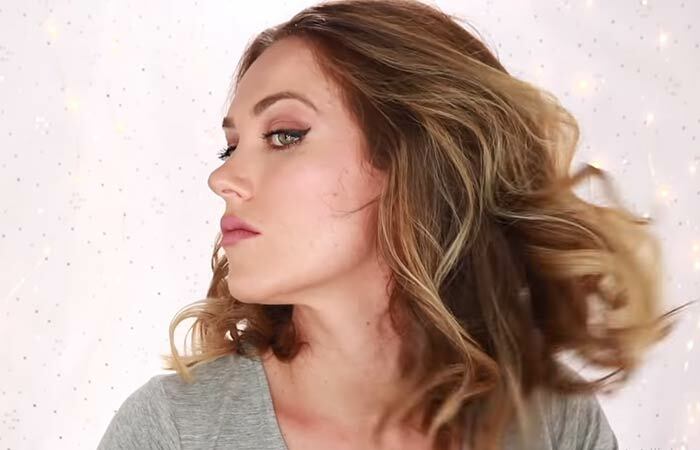 Want to curl your tresses without much drama? Here’s a product that can help you achieve perfect curls in no time. 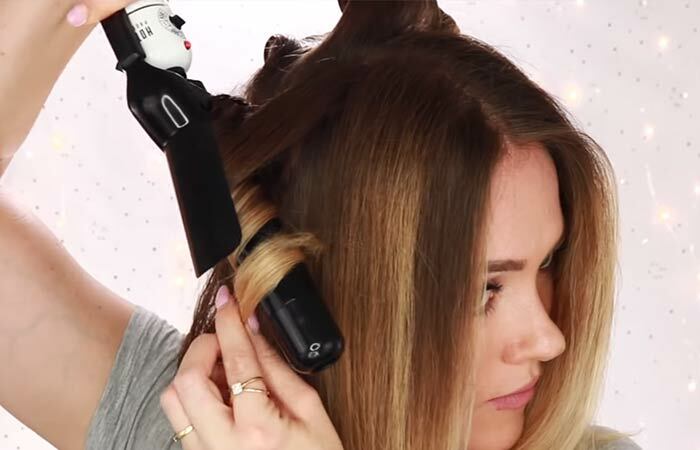 This curling iron is engineered with advanced technology. It creates long-lasting textured curls and waves with perfection. The nano titanium surface is a positive conductor of heat and helps maintain stability in high temperatures for safe styling. It yields maximum infrared heat and penetrates each hair shaft for defined curls. It has 50 heat settings, and the maximum heating temperature is up to 450°F. 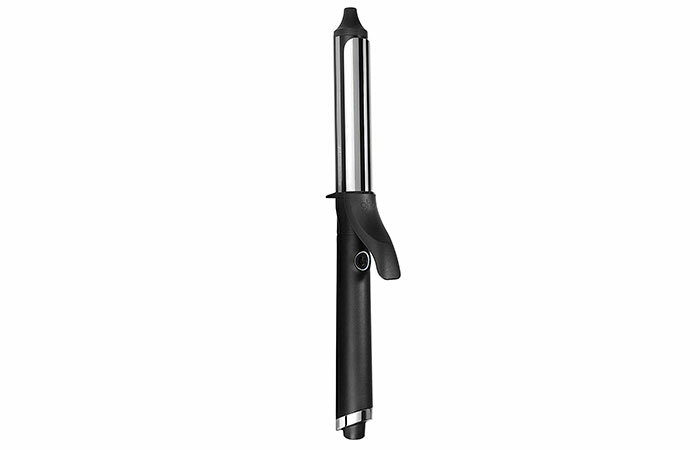 This professional salon-quality curling iron is packed with a variety of advanced features for high-quality results. It is designed with multilayer technology for even distribution of heat. The new smart technology keeps the barrel heat optimized to eliminate heat damage or hot spots. 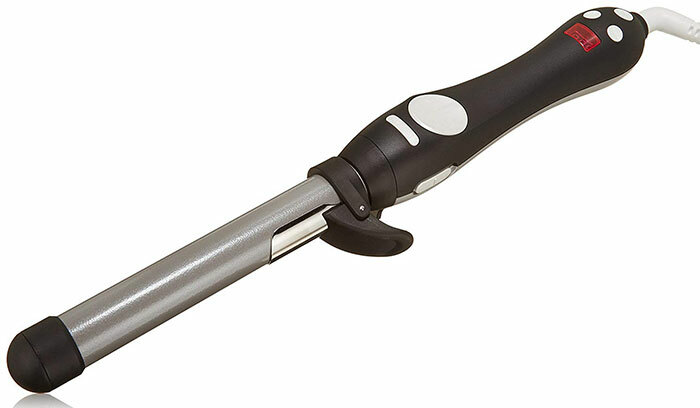 This 1½-inch curling iron is designed to create big and voluminous curls. The product can be heated up to 400°F with a 30-second instant heat feature. Another added feature is the turbo heat technology that allows an increase of barrel temperature by up to 36°F. 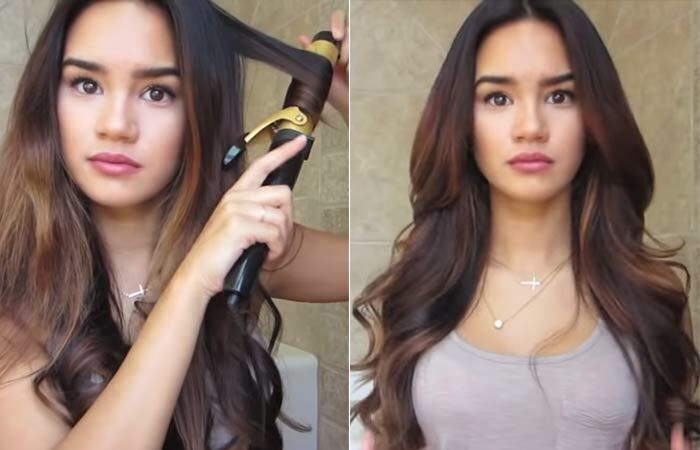 Here’s a curling iron that claims to perform its magic on all hair types and hairstyles. This styling wand measures 8.27 inches in length to suit both long and thick hair types. It heats up to 410℉ in 60 seconds. The ceramic surface allows smooth curling without damaging your locks. 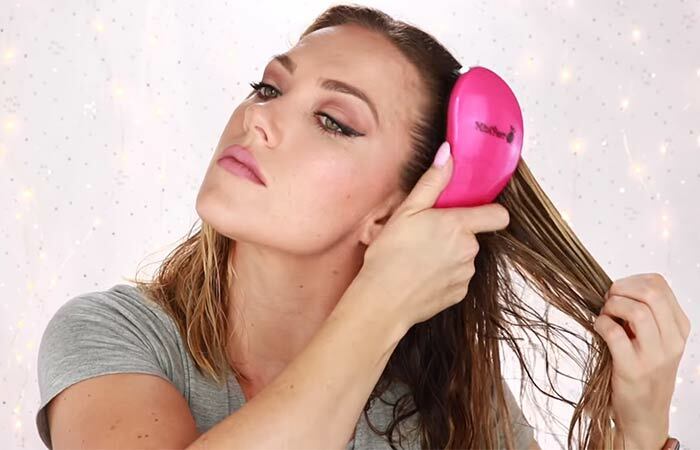 The thermally insulated wand and the heat resistant gloves let you style your hair without burning your fingers. 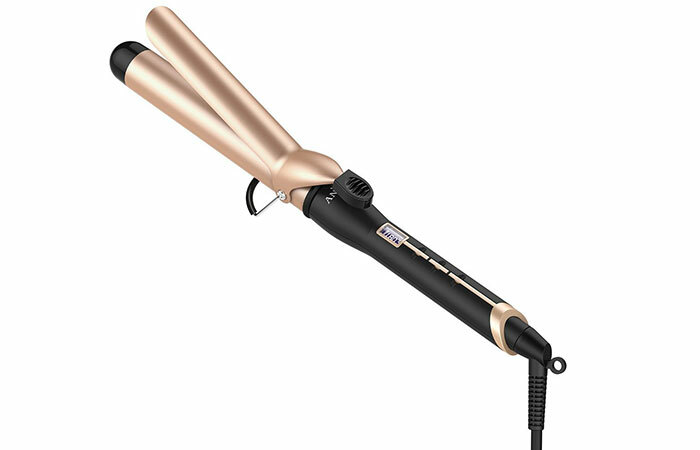 It comes with a 360° rotatable power cord that stretched up to 2.5m, which is 40% longer than other curling irons. This curling iron lets you create three different styles, including loose beachy waves, glam waves, and defined curls. The ceramic coating provides an easy and smooth curling experience. The 5.5” protective ceramic barrel allows even distribution of heat. The heat range is 290℉ to 410℉ in just 30 seconds. With the fast/slow speed switch, it is even easier to use. The rotating curling iron provides perfect curls in minutes. Get classic, covetable curls with this luxury brand curling iron. 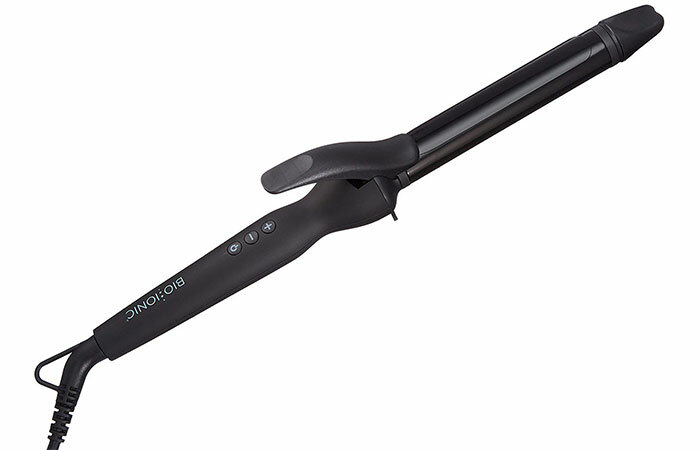 Ghd Curve Curl Iron is one of the most popular choices among hairstylists. 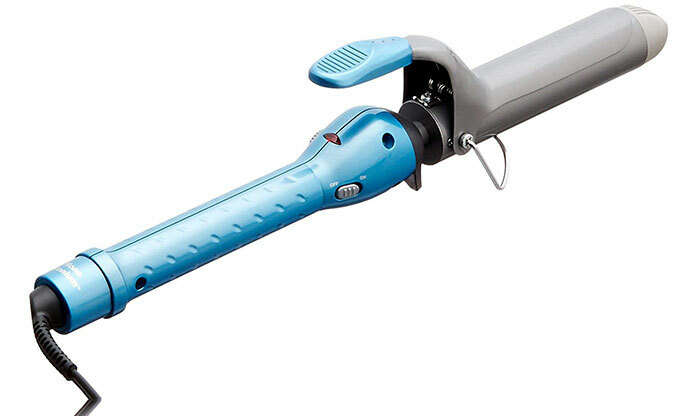 It comes with a spring activated ergonomic lever that helps you create consistent curls. It also includes a professional-length cord for flexible styling and an automatic sleep mode after 30 minutes. The maximum heating temperature is 365°F, and the best part is, this temperature is maintained across the world with its universal voltage feature. Paul Mitchell Curling Iron provides endless styling options. 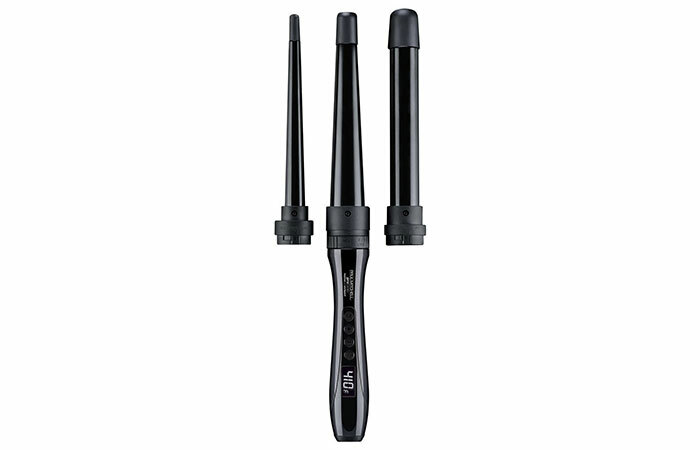 It has three interchangeable ceramic barrels that help you create natural-looking curls, coils, and loose waves. It features the latest technology with a clamp-free design that allows hair to get styled without any tangles. The 1″ styling cone is for creating loose waves, while the 1.25″ barrel is for natural-looking curls, and the 0.75″ small styling cone is for coils. The power button keeps shutting off. T3 SinglePass Curling Iron features an internal microchip that controls the temperature fluctuation, ensuring even and optimal heat. It creates spirals, waves, and curls in just minutes! Made with tourmaline and ceramic, this curling iron maintains a consistent temperature and offers long-lasting lustrous curls. It ensures even heat for quick styling. It has five adjustable heat settings and can heat up to 410°F. 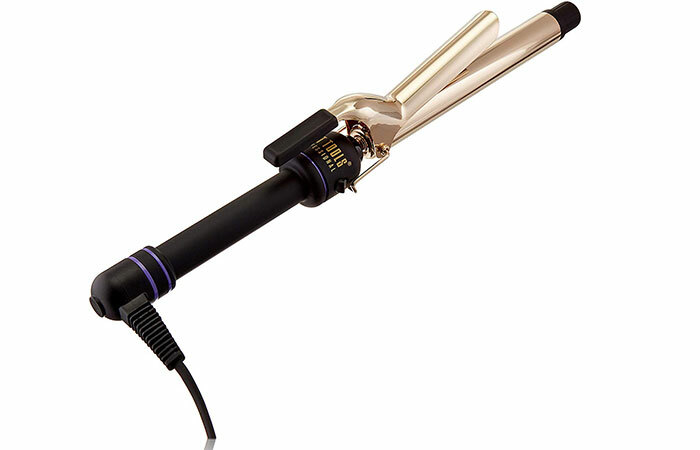 This unique curling iron has bioceramic heaters that deliver constant and even heat for long-lasting curls and waves. The curling barrel is infused with natural volcanic rock minerals that are refined to emit negative ions to help seep the tiny water molecules deep into your hair. This way, your hair stays hydrated and conditioned on the inside, while the outer layer of your hair cuticle is left flat and smooth. That was our round-up of the best curling irons. Now, let’s understand what to look for when you are buying a curling iron. Well, it’s quite obvious that different barrel sizes give you different kinds of curls. Ideally, the barrel diameter ranges from 0.5 to 2 inches. Also, remember that the barrel size is proportional to your hair length. For more information, click on A Guide To Finding The Perfect Curling Iron Size. There are four common materials found in curling irons. While most curling irons are made of metal, they come with a coating of one of the four materials. Ceramic: It is the most common and one of the safest materials to use. It heats up quickly and produces consistent heat without damaging your tresses. It emits negative ions that smooth your hair, making it appear soft and silky. 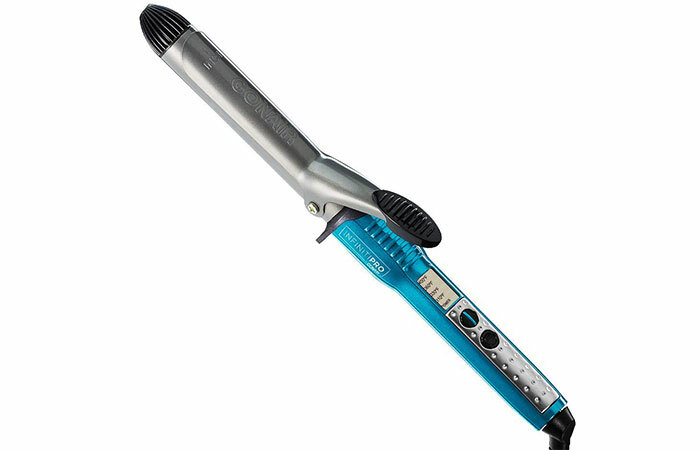 Titanium: Most professional curling irons are made of titanium. It is a perfect material to curl thick, coarse, and rough hair as it heats up faster than ceramic irons. Also, it protects your hair and helps you manage your wild tresses. Tourmaline: Tourmaline is a gemstone or a mineral that is crushed and coated onto the ceramic plate. Tourmaline also prevents the chances of your hair being burnt or damaged and keeps your hair smooth and silky. Gold: Gold is used to coat metal, titanium, or ceramic irons. It protects your hair from overheating and adds an excess of shine to it. Most curling irons come with adjustable heat settings, and the temperature ranges from 300 to 430 degrees. Different hair types require different heat settings. Thick hair can accommodate higher temperature while thin and brittle hair needs a lower temperature. However, it is important to check for the minimum and the maximum temperatures to suit your hair type. This way, you can change the heat settings depending on your hair type. For all the forgetful souls out there, there’s one feature that we require to save our house from burning down – auto shut-off mode! It ensures your curling iron is never left on for more than 30 to 40 minutes. Thermal Styling Glove: Helps you get full control over your styling even at the maximum temperature without worrying about burns. Iron Cleaner: This helps in improving the efficiency of your curling iron. It also increases the longevity of your device. When buying a curling iron, choose a lightweight device with a considerable cord length for better control and comfortable styling. Yes, it does, especially when you want to flaunt it to your girl-gang. Let’s look at a few pointers now. Using the curling iron on high heat or letting it stay on your tresses for more time than required. 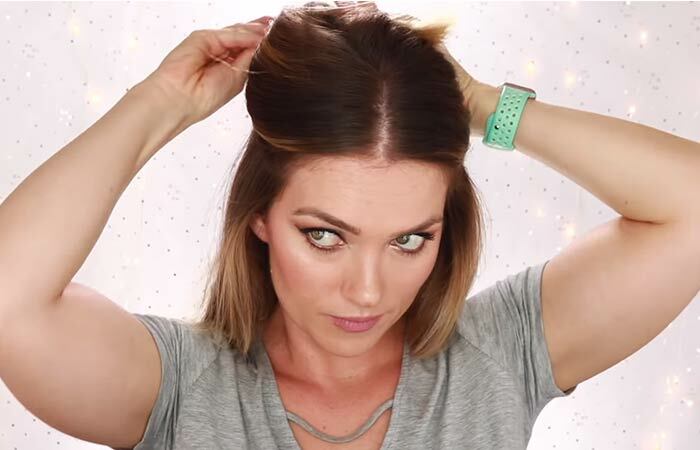 Curling your hair when wet. Be sure to use a curling iron when your hair is 100% dry to avoid split ends. Thanks to modern technology, you can now flaunt the curls of your dreams even if you are not naturally born with them. Give yourself the perfect makeover with these magical instruments. Get your hands on your favorite product and let us know about your experience by commenting below. Do I need to apply a protective hair serum before I use a curling iron? Yes, it is best if you apply a protective hair serum or mousse before you use a curling iron to avoid hair damage. How often can I use a curling iron? You can use a curling iron every day if there is a need, but once in two or three days should do because a good curling iron will give you curls that last a day or two. How long will it take to curl my hair? It depends on your hair length, texture, and the barrel size. Ideally, it takes about 30 minutes to 1 hour. Is it bad to curl your hair every day? Yes, curling your hair every day can lead to breakage and heat damage. However, if you want to curl it regularly, use a heat protectant spray to avoid damage. Those who have poker straight, fine or limp hair know how curls die out quickly. Here are some tips to how to make curls last longer. Check them out. Are you new to the curly hair game? 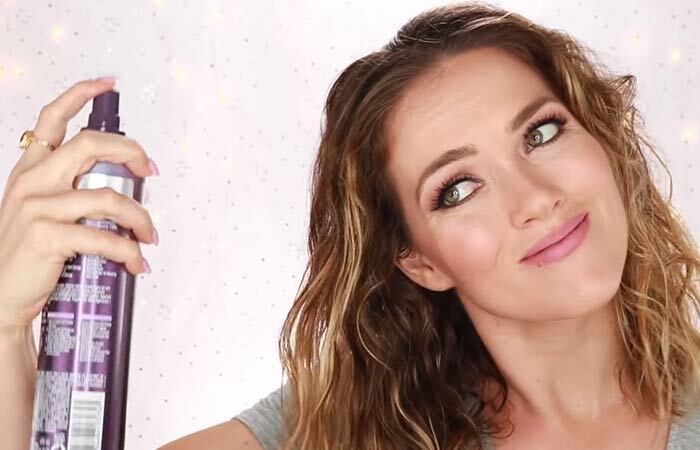 Are you wondering which curling wand would give you perfect salon-style curls? Well, I don't blame you for getting confused – as there are countless wands out there for your hair type, length, texture, and so on. You walk into the room with luscious long hair and people around you swoon over your perfect curls. You are literally living your good hair day to the fullest with compliments showering all over you. Meanwhile, the alarm rings and reality strikes. There’s a terrible misconception out there that women let go of themselves and stop caring about their looks once they hit their forties.